GAPOTXT is a manually run program that will export check detail in a comma delimited file. 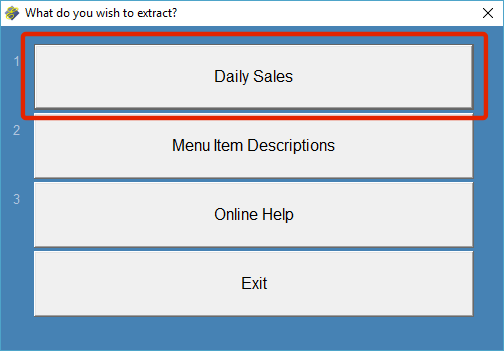 You can import this into an Excel spreadsheet or any other database program. Follow these steps to generate the export file named GAPOCKH.TXT. The format of this file is at the bottom of this page. 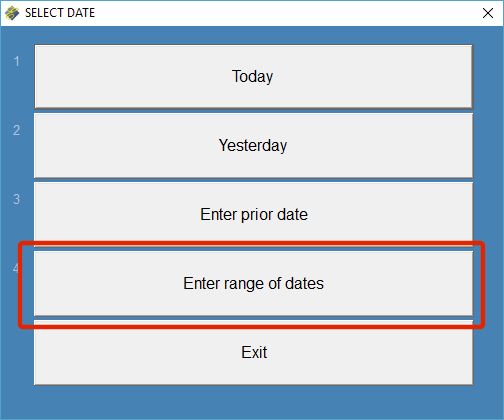 Select "Enter Range of Dates"
When the data has been exported, you'll see this message. 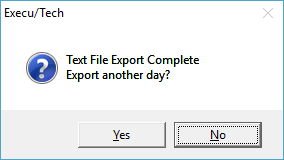 Select "No" and then look for the file GAPOCKH.TXT in the software folder.